Now here’s the thing! This is urgent! Somebody, please, call Miranda Priestly and share the news. 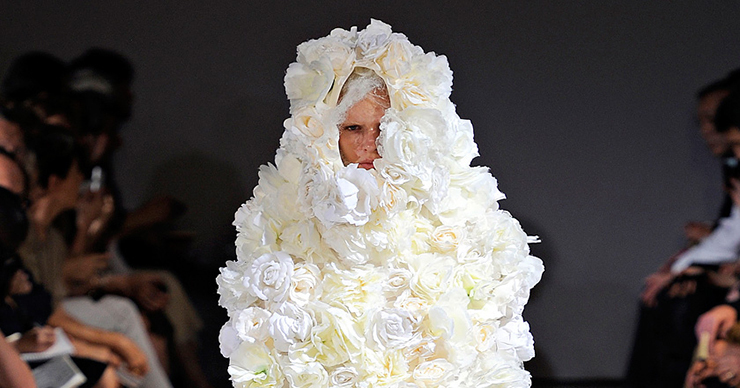 Remember she said: “Florals? For spring? Ground breaking”. Well, nothing is stable in this world and even the things that once upon a time seemed really trivial suddenly became something extra preferred. 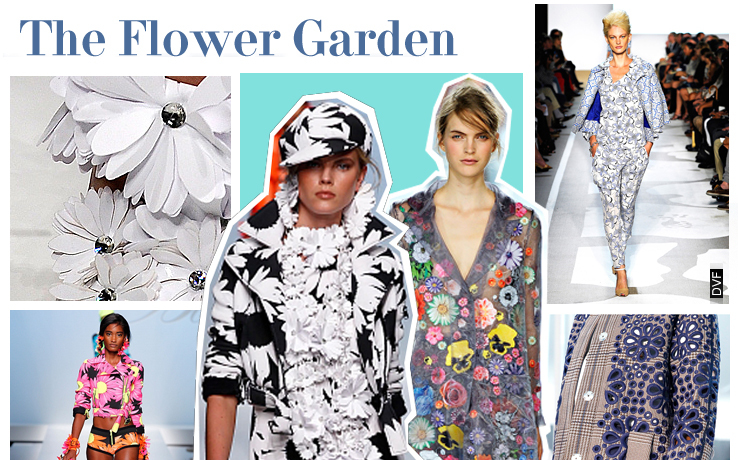 So, we have to say from now floral print is a ground breaking trend indeed! Although “floral” is hardly the word that describes the exact phenomenon which got prevailed lately by all the romantic fashionistas. Foliage, birds, chamomile diadems, palm trees and even the entire vegetable leaf from now are all on your clothes for people to admire. Yes, we bet you may hardly be called forester, gardener and not even a master of the landscape art… but who can tell the difference?! So, don’t hesitate to boast with all the precious harvest and fruitage, whatever you enjoy! Wardrobe now is a new garden of flowering plants! Actually, Michael Kors and Diane von Furstenberg are not the only well-known ambassadors who travel all around the world, soak up the culture, nature, mode of life and then use the fabrics as some kind of canvas to portray the whole beauty of the nature they were lucky to observe. 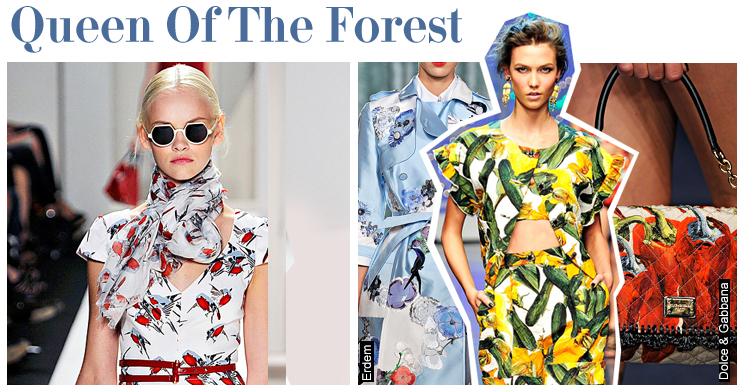 With each season prints get more diversified and varicolored. Sometimes it feels like you can even sense the levity of an exotic island that effloresced upon you to the utmost extent. Dries Van Noten exercises his passion for gardening not only in his seven-acre house outside of Antwerp, but on his designing clothes as well. He appeared to be such a distinguished fan of the Earth’s beauty! And it has not been the first time of his passion to embody the beauty of the Mother Nature. Dolce & Gabbana distinguished themselves by creating the whole Exhibition of Economic Achievements; there is just no another name for the fair of those fully-fledged onions, peppers, cucumbers, pumpkins and other vegetables right on your gown. They simply have fun by setting up the rich national flavor as a new trend. All the pasta lovers would die for it, no doubt. Apparently all the fine performers of a woodland choir would keep up with you even in the city along the whole day. So, enjoy the lovely singing of those cute little bright birds on your vernal outfit, and a floral wreath or feathers will do for your summer headdress. You never looked so charming and naturally before. Delectable and easy, nothing else is needed. You’re truly delightful. So, go for it!